 Community Drug and Alcohol Recovery Services (CDARS) have put together a programme to prevent and stop domestic violence. A new programme for male perpetrators of domestic violence which aims to prevent and stop violence within a relationship. The programme has been designed and provided by Community Drug Service for South London (CDARS) and has been delivered highly successfully and with high outcomes for the last 5 years, first in the Borough of Sutton and now in the Borough of Merton. The programme is of 12 weeks of offers both one to one and group work. However the programme can be also designed on individual needs, circumstance and how people respond. Due to consistent demand and many enquiries out of our Boroughs, CDARS has decided now to responds to these and open the programme further. Therefore we have decided to make the programme available on a "spot purchase" basis, which might be of interest to funders and social services, probation and police for example. Cost for the full package as above. £ 1,950.00 inclusive of VAT per person. We would be happy to negotiate for a tailored programme to individual needs, and related costs.